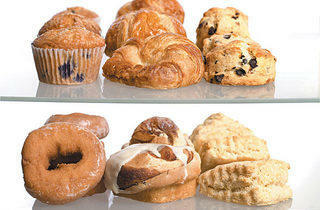 When nothing but sugar and fat will get you through the day, it's time to reach for Chicago's best pastries. 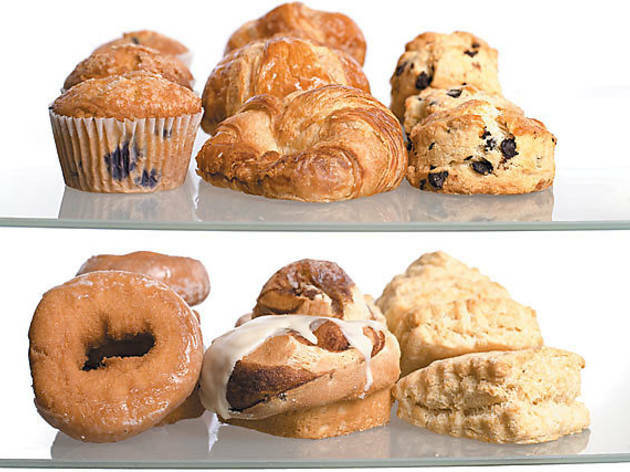 Forget the oversized, streusel-topped muffins of corporate coffee shops. The best are like this one: medium size, soft-crumbed and light on the sugar. A proper croissant should shatter with one bite, its delicate layers flaking everywhere upon contact. Happily, that’s exactly what this one does, creating the most delicious mess you’ll ever clean up. Before opening her pie shop earlier this year, Paula Haney was known strictly as a dessert maven. But now that we’ve tasted these crumbly scones, we’re crowning her a master of mornings, too. These lightly glazed, slightly tangy cake doughnuts achieve what very few of their kind can: an airiness resembling that of their yeast-risen brethren. There are certainly more elegant cinnamon rolls in this town. But who’d take “elegant” over “big, soft, aromatic and sweet”? From the name, it appears that these things are made with milk. Funny—all we tasted was sweet butter.